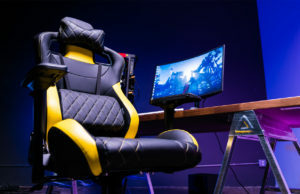 Epic isn’t the only company using the promise of free in-game fashion to promote stronger security. Ubisoft is now also rewarding account holders with a free Rainbow Six: Siege skin if they enable two-factor authentication. 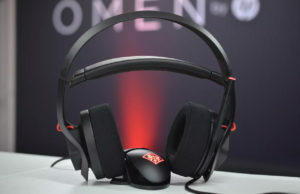 The process might take a couple of minutes to complete, but it isn’t too difficult to get done and the developers are betting that the allure of a unique operator outfit will be worth the hassle. As it is, you’ll need to do this if you’re the competitive sort. 2FA will be required for ranked matches in the near future, so it’s worth your time. 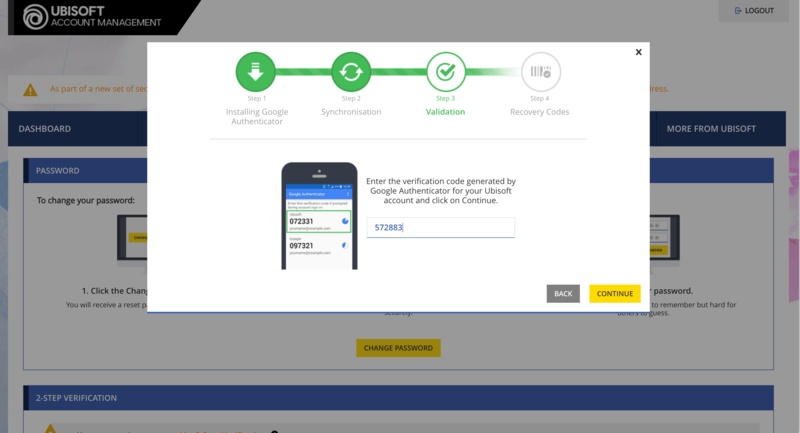 Before diving in, it’s important to understand what exactly 2FA (Two-Factor Authentication) is. For those wondering, 2FA (also known as Two-Step Authentication or Two-Factor Authentication) is an optional system allowing you to add an extra layer of security to your account by taking advantage of components that are unique to oneself. This can come in a few forms – from an email to text messages or, in this case, an authenticator app for your smartphone. When logging into your Ubisoft account, you will be asked to provide a unique code that is randomly generated once every 30 seconds via an application on your phone. What this means is that should someone ever manage to get hold of your account information and try to access your account with it, they will be asked for this code too and without your phone, they will not have access to it. Which Authenticator Should You Use? While you have a lot of options to choose from, we strongly recommend using Myki. 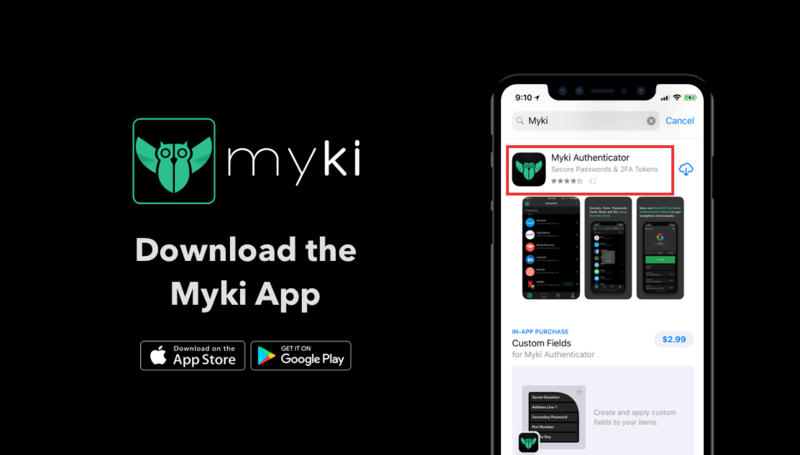 The Myki Password Manager & Authenticator is a great two-factor authentication authenticator, as it allows you to store all of your 2FA tokens in one secure place. The first thing you’re going to want to do is download the Myki app on your smartphone. 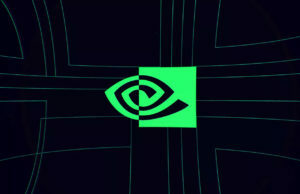 They currently support both Android and iOS devices. Next, log into your Ubisoft account (by visiting this link), navigate to the Security Settings, and click on Activate 2-Step Verification. You will then receive an email to the address currently associated with your Ubisoft account. Click on the link in the email to redirect you to the Ubisoft website where you will be prompted to login again. You will then be prompted to download an app called Google Authenticator (this step can be skipped as Myki already acts as an authenticator). Click on “Continue” to proceed. You will now see a QR code on the screen. This is your queue to launch the Myki app. In the Myki app, click on the “+” icon in the top right corner, and click on “2FA“. This will open the page to set up your Ubisoft 2FA. Give the account a nickname (hint: “Ubisoft”) and click on the QR code icon to scan the QR code. After you’ve done that, hit “Save“. You will see the 6 digit code in the Myki app under the 2FA section. Click “Continue” on the Ubisoft website and type the verification code in the input field and press “Continue“. That’s pretty much it! You’ve successfully enabled 2FA and have just unlocked ranked play after December 11! 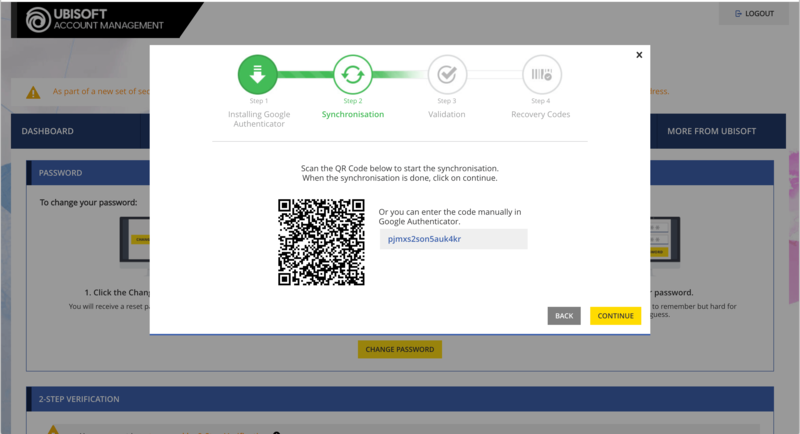 Ubisoft will also present you with recovery codes that you can store in a secure place in case something happens to your Myki account. 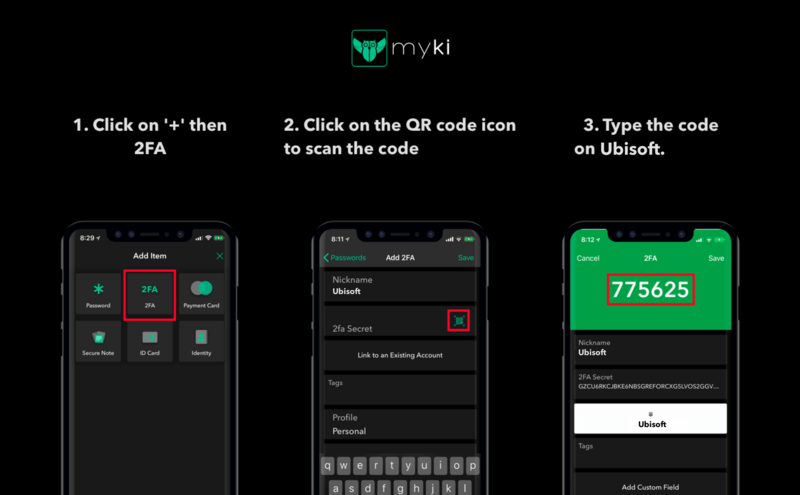 From now on, whenever you visit account.ubisoft.com and are asked to enter your 2FA code, you can either launch the Myki app and copy it manually, or you can install the Myki browser extension and have it auto-fill your password and 2FA for you. 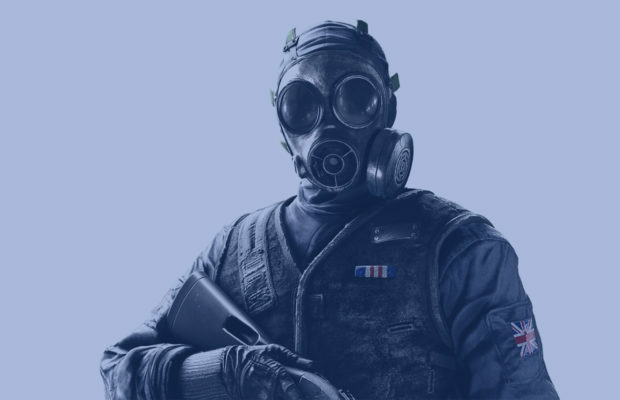 In any event, you’ll get two things when the job is done: A heightened sense of security that comes from knowing it’s far less likely that anyone will be able to screw around with your Ubisoft account, and an exclusive skin.